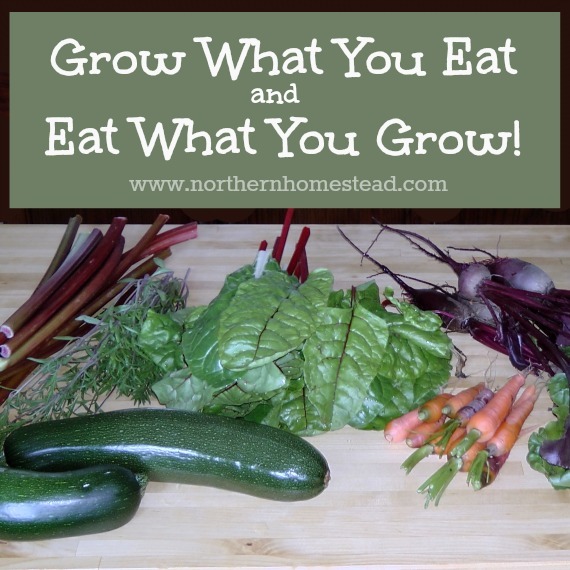 Grow What You Eat and Eat What You Grow! Gardening can be just about fun. Most often a just-for-fun garden is a flower garden, you grow it to enjoy it. However, sometimes even vegetable gardens are a bit like just-for-fun gardens. It is fun to grow things that look so interesting in a catalog. But then what? Anyone with me? You grow this ornamental kale, lots of it, and do not know what to do with it. Well, thank God it looked good and was fun to grow. But wait, gardening can be so much more, it can look good, be fun to grow, and taste good, too! Plus, if you put into it some thoughts it can replace your grocery shopping altogether. Wow! 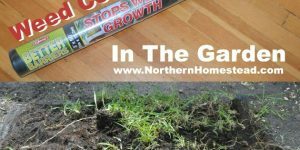 Do you want to grow what you eat? I bet you want to! Let’s get started. Find some of your family favorite recipes and write down everything you need to make those yummy meals; make a shopping list. Wait, you say, I want to garden, not go shopping. Bear with me! Still, make your shopping list. If your favorite family meals contain mostly foods that can’t be grown, you will not be able to grow what you eat. In past generations recipes did not include foods that had to be shipped from overseas or were processed, so growing what they ate was simple. Today things are different. Chances are that because everything is available everywhere, your family learned to like foods that can’t be grown locally, or grown at all. Some rethinking might be needed. If you can’t grow rice then don’t serve rice, if you can’t grow potatoes then don’t serve potatoes, oh, and there aren’t any seeds for donuts and chips ;). Well, you get the idea. It sure is okay, and maybe even necessary to have some foods on the shopping list that you can’t grow. I have them too. But strive to have more and more foods that you can grow, and avoid processed foods altogether. 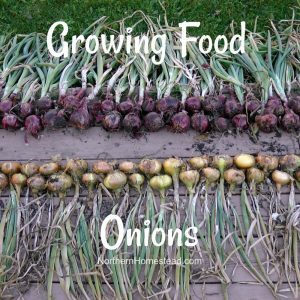 Now when you go to a seed catalog with your growing list, you will no longer look for what looks like fun to grow, but look for what you want to eat. 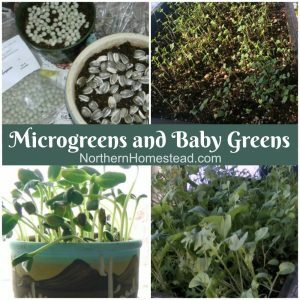 If you are new to gardening, you might want to start with just a few things that are easy to grow and you often use in your meals. In our example, salad greens, potatoes, and tomatoes would be a great way to start. It does not matter what you start with, what matters is that you learn to grow the things you eat. 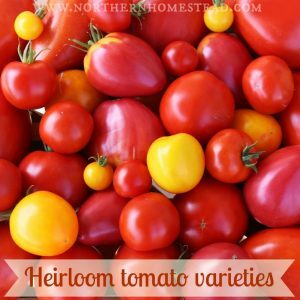 Most plant varieties are not difficult to grow. There is lots of info on here and on the web as well as in good gardening books for each and every one of plant based foods. Besides, gardening is like riding a bike, you can’t learn how to do it by just reading about it. Go out and do it! It is okay to fail, it is not okay not to try! 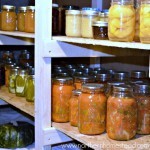 Once you have grown all those yummy foods, learn to preserve them for winter. 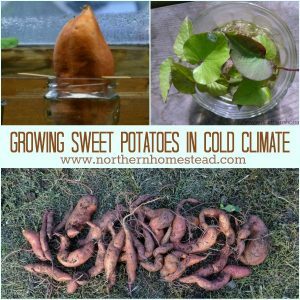 Store things like potatoes, onions, garlic, and squash in cold storage. Dry beans, hot peppers, herbs, and veggies. 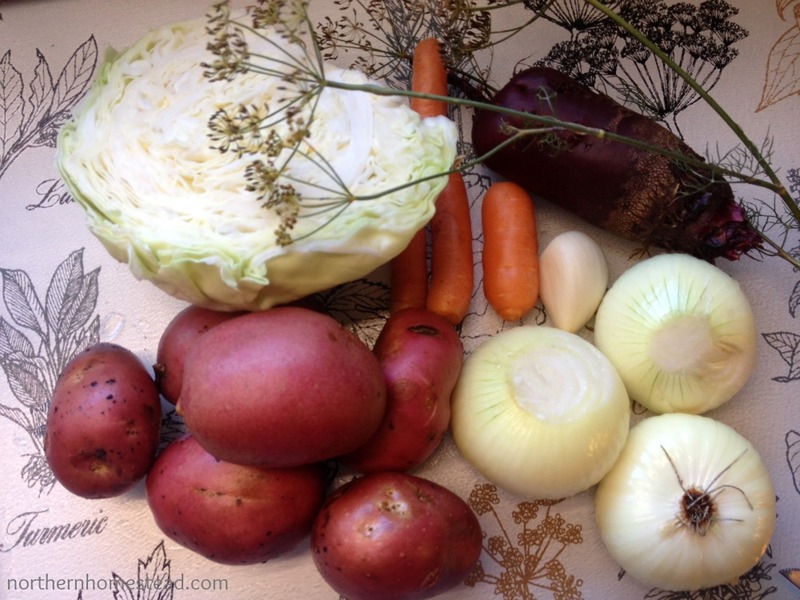 Freeze, pickle and can your summer bounties for winter use. 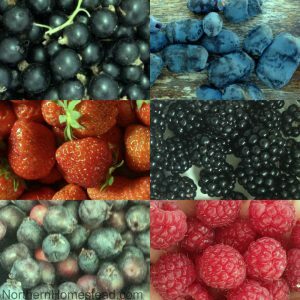 It might take some time and practice to start to enjoy the abundance in the summer and use what stores well in the winter. Garden goodies do not grow and ripen according to our meal plans, they just ripen whenever the conditions are right. 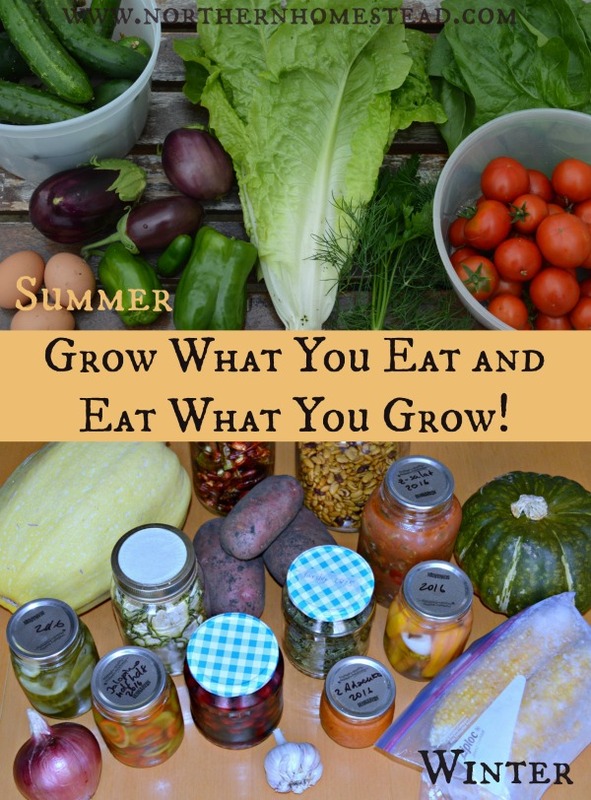 Learn to make meals from those garden fresh products. 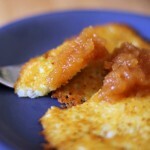 Many of our recipes are very simple garden to table recipes. 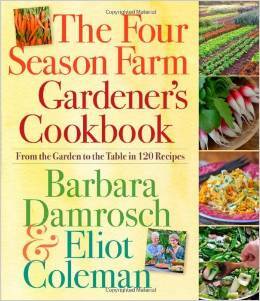 The book “The Four Season Farm Garden Cookbook” is packed full of tips to grow what you eat and eat what you grow. An ability you do not want to miss. 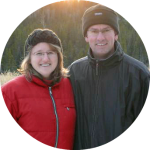 Maybe you are thinking it is such a steep learning curve, why bother? Isn’t everything available in store, washed and even ready made? Good question. More often than not the food that we buy is grown in a way we would never approve of, sprayed with fungicides, pesticides, and herbicides, and delivered from many miles away. If it is ready made it probably is highly processed with additives that surely will make us sick. 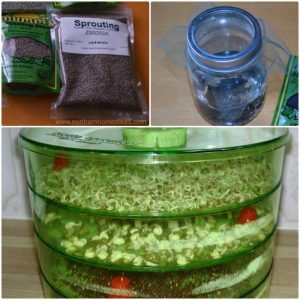 For your homegrown food, you will not have to spend money (except for the seeds to start). 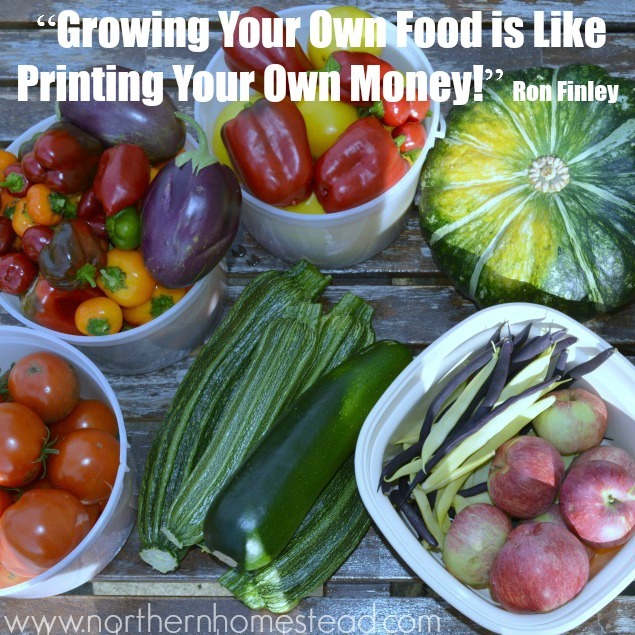 Growing your own food is like printing your own money! (Quote from Ron Finley). You will get fresh, organic produce for your family that is much better than money can buy. 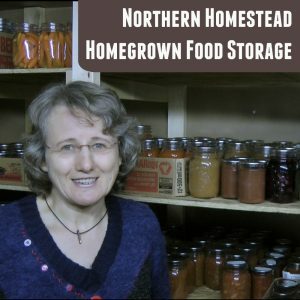 Homegrown food is essentially free, healthier, fresher, and tastes better. We are well off if we plant a garden and eat off it. It is good for body and soul. And remember, for centuries people have done just that, lived from the garden to the table. Awesome post, Anna!. Very well said. You are so correct that God cares about what we eat and gave us the instructions to do it. 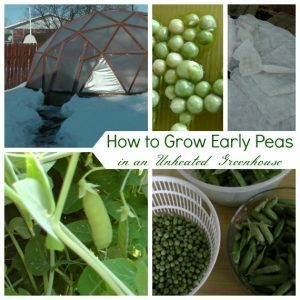 My dad always planted a large garden for fresh, unprocessed, good tasting foods all year round. But today, things are ready-made and easy and so not good for us. Thanks for the reminder and I truly like your tip about the shopping list! Thank you Zan! You just wait when your precious little ones get older, you will have a garden too. For now, you are needed in the house. My dad and mom always had a large garden, chickens and cows when I was growing up and just about everything we ate came from the garden. They are in their 80’s now and still continue to plant a large garden. I do believe it’s why they are still so active and healthy. Everything here is for dummies like me, lol. Like you, we both grew up on a homestead, and I find it helps a lot just to go for it. If our parents did it, we can too. 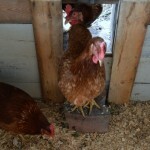 We started with chickens last summer, we learned as we go, and love it! I am surprised how little work they are, and how fun, too. 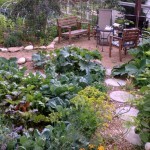 The from garden to table concept is very attractive! It is why we do grow a few things each year. We certainly don’t garden on the scale that you do by any means. You can’t beat a good meal with food fresh from the garden. 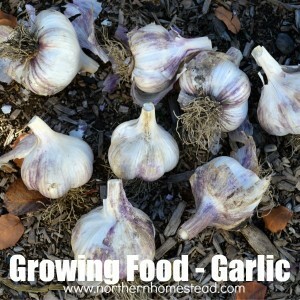 My hubby and I have been discussing expanding our food gardening a bit this year, we shall see how that goes. It is all good until those triple digits hit, then we like to retreat indoors and avoid the heat. 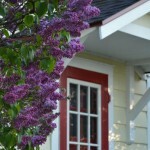 I’m an avid flower gardener for many years because of the true beauty and joy they bring. My flower garden is much larger and more beautiful in my mind than in reality and so it gets a lot of my outdoor attention. I totally get the avoiding the heat. It hardly ever is hot hear, but if it is, I am done. 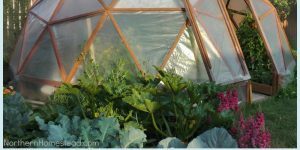 I thing a winter, early spring vegetable garden would be great for you (Start planting today, at the latest ;)). I can only imagine the beauty of your flower garden! It really is a learning process, but so worth it! I am SO proud of myself, this is exactly what I’ve been doing! Charting the things we eat regularly and planning their planting! I am planting a few things we don’t eat regularly, just to test them, but I will give them to folks who will eat them if we don’t! Good for you Kristen, happy gardening! Thank you Jennifer, glad I could help. 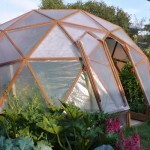 Just ordered a small, portable greenhouse I can put in my house, hopefully I can grow some green leafy vegetables during the winter, and will be using it to start my plants for spring planting. We have had so much snow and cold weather, I will probably be using it year round. Thank you for all your good gardening advice. This is my plan. I want to replace or at least cut in half our grocery list. I know it may take some years and, like you said, steep learning but it is a worthy goal. It is worth it. Even if it is a long way before I can replace the grocery store altogether, but it is good to be on the way there. Great advice! I tend to grow lettuce every year and even though we eat tons of iceberg, I can’t get the kids to eat the other types so they end up going to the chickens. Sad, but at least someone eats it! 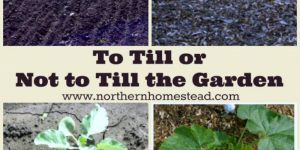 Thanks for linking up with Green Thumb Thursday! We hope to see you again this week! 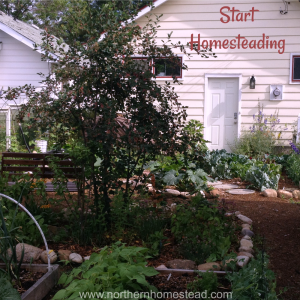 Thank you for sharing on the Homestead Blog Hop. I hope we see you again tomorrow. Thank you Kelly! To grow what we eat is an ongoing project, but so rewording.